Amag Pharmaceuticals announced on Monday that it plans to buy Cord Blood Registry. The privately owned stem cell bank is being purchased for a whopping $700 million. CBR houses preserves umblical cord blood and tissue sections. According to a statement released by Amag, it currently houses more than 6,00,000 units, a considerable fraction of all units in US. The majority of Amag Pharmaceuticals’ profits come from Makena, a drug used to reduce risk of premature delivery in pregnant women. It is also involved in producing medication used in oncology and patients of anemia. The pharmaceutical company is optimistic about its prospects. It predicts immediate profits from CBR. 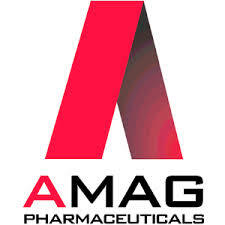 Amag Pharmaceuticals primarily makes, Feraheme (Ferumoxytol) used to treat iron deficiency anaemia and CKD.